If you’re seeking myotherapy in the Boronia area, make an appointment with Knox Chiropractic & Wellness. Myotherapy is a form of manual therapy which focuses on the assessment, treatment and rehabilitation of musculoskeletal pain. Myotherapists use various techniques during treatment, including deep tissue massage, trigger point therapy, dry needling, and stretching. In addition to this, myotherapists can prescribe corrective and rehabilitative exercises to restore muscle and soft tissue function. Due to its multi-faceted approach, myotherapy is a suitable treatment for a range of musculoskeletal and soft tissue conditions. When you visit our clinic for myotherapy near Boronia, you will be assessed and our myotherapist will endeavour to find the source of your pain. We will then be able to identify the best way to resolve the issue and help you prevent it from reoccurring in the future. Anyone wishing to eliminate an ongoing pain or address an unresolved muscular issue should consider a visit to Knox Chiropractic & Wellness. After our initial assessment, it may be clear that the answer to your problems is our myotherapy in Knox. Contact us today to arrange a consultation. Ian Geduld graduated from the Victorian College of Healthcare Education in 2005 with a Diploma in Remedial Massage and Advanced Diploma in Myotherapy. 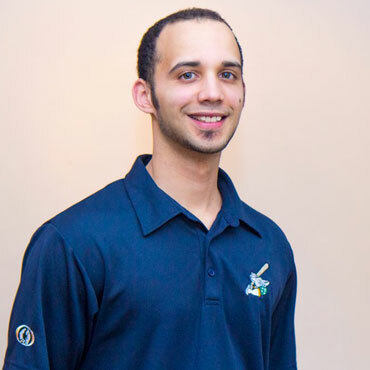 His specialties include deep tissue massage, cupping, dry needling and exercise prescription. Ian has a great passion for nutrition and all sports and has played at an elite level in baseball. He has treated athletes in a wide range of sports including football, baseball, tennis, hockey and swimming. Ian also treats people in a wide range of occupations. He aims to provide his clients excellence in health and wellness. 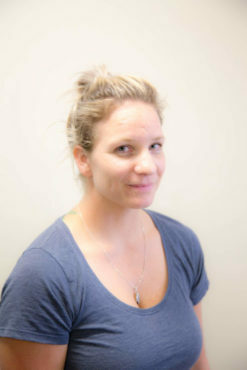 Nadine is a fully qualified Myotherapist and Remedial Massage therapist. Her knowledge and experience are invaluable to our clients, having been in the industry for over six years. Outside Knox Chiropractic & Wellness, Nadine has been a sports trainer for several football clubs during the past 4 years. She loves caring for clients from young children to the elderly, and sees various muscular conditions and concerns. Currently, Nadine is studying a Bachelor of Exercise and Sports Science, which will lead her to add Exercise Physiology to her skill set.